(From left) Chase Kamikawa (freshmen co-ed) and Taisamasama Kaʻiminaʻauao-Eteuati (junior boys) won the Louise Aoe McGregor award for outstanding student director. 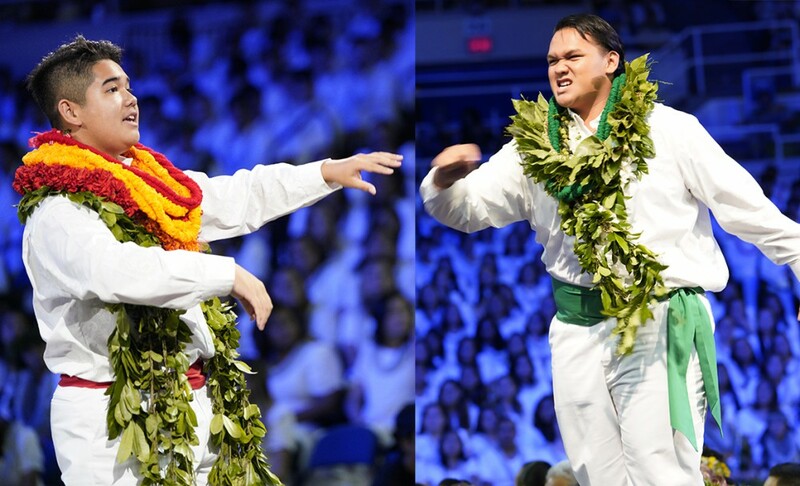 The freshmen class, dress in red and white, made their first appearance in the song contest. The junior boys captured their first George Alanson Andrus Cup for the outstanding male performance. The sophomore girls won the New England Mother's Cup for the top female performance. •Friday, March 22, on KGMB, starting at 6:30 p.m.
•Friday, March 29, on KFVE, starting at 6:30 p.m. 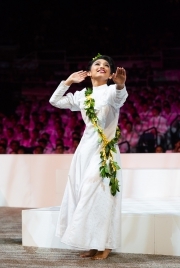 The theme of this year’s event was: Nā Mele ʻOhana: The Musical Legacy of Vickie Ii Rodrigues. 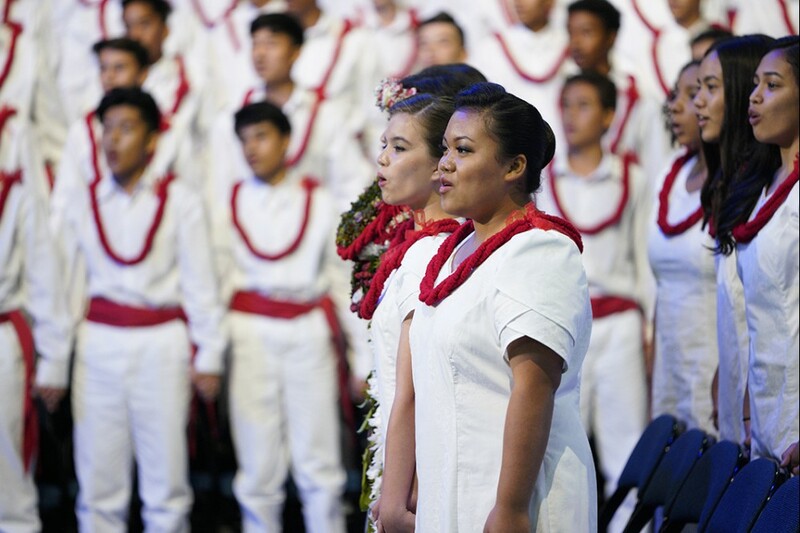 The senior combined class earned top honors for the Charles E. King Cup (outstanding combined competition) and the ʻŌlelo Makuahine award recognizing excellence in the use of Hawaiian language. The junior boys won the George Alanson Andrus Cup (outstanding performance in the boys division) and the Helen Dasha Beamer award for the outstanding musical performance. 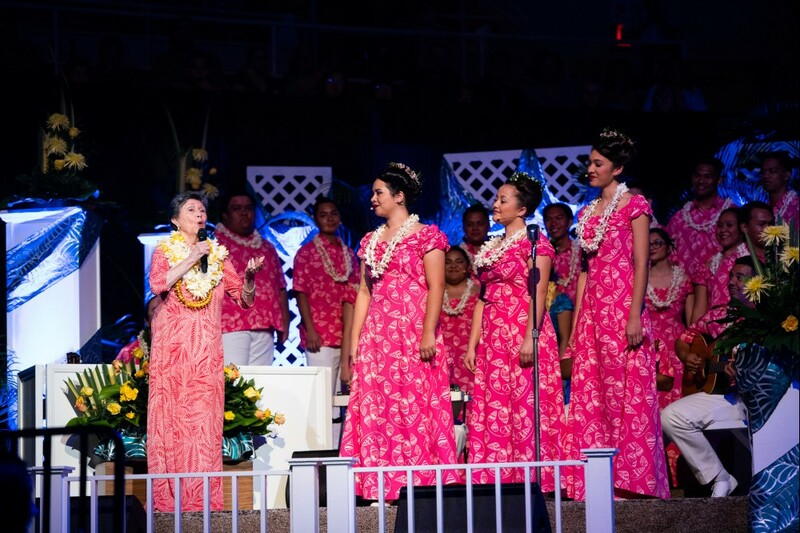 The sophomore girls won the New England Mothers Cup for outstanding performance in the girls division and tied for the ʻŌlelo Makuahine award. 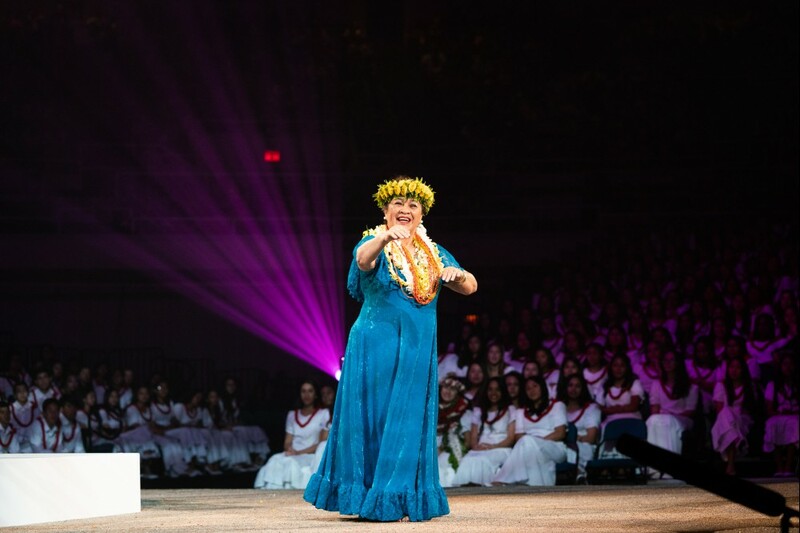 The outstanding student director award went to Taisamasama Kaʻiminaʻauao-Eteuati (junior boys) and Chase Kamikawa (freshmen combined). 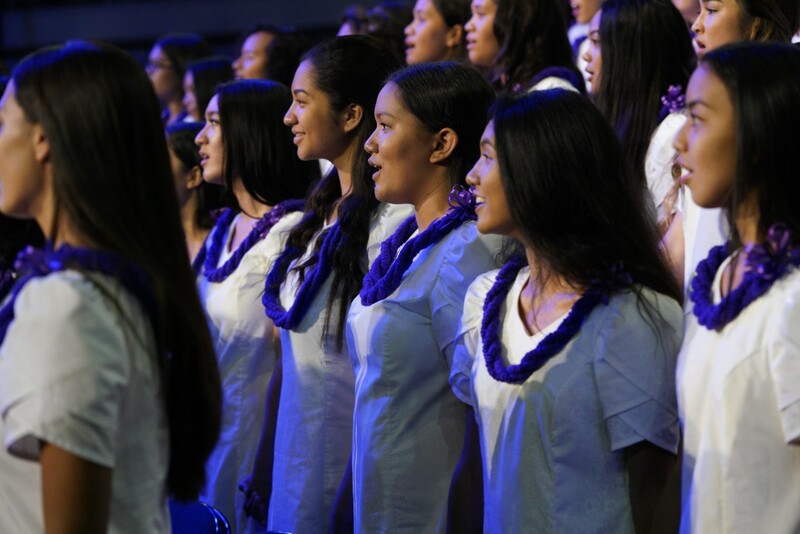 KGMB will rebroadcast the song contest on Friday, March 22 beginning at 6:30 p.m. with the preshow followed by the song contest at 7:30 p.m. KFVE will show the song contest on Friday, March 29 beginning at 6:30 p.m. 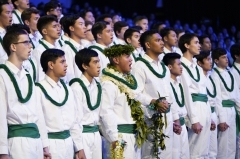 Winner: (TIE) Taisamasama Kaʻiminaʻauao-Eteuati (junior boys) and Chase Kamikawa (freshmen co-ed). Photos by Jacob Chinn. Additional photos are posted on the KS Facebook page. 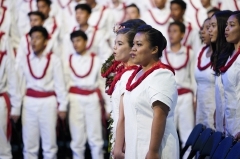 Hawaiian culture-based education is a core component of the Kamehameha Schools learning experience. Firmly grounding our haumāna in who they are where they are from culturally establishes a solid foundation upon which they are able to build continued personal and educational success. 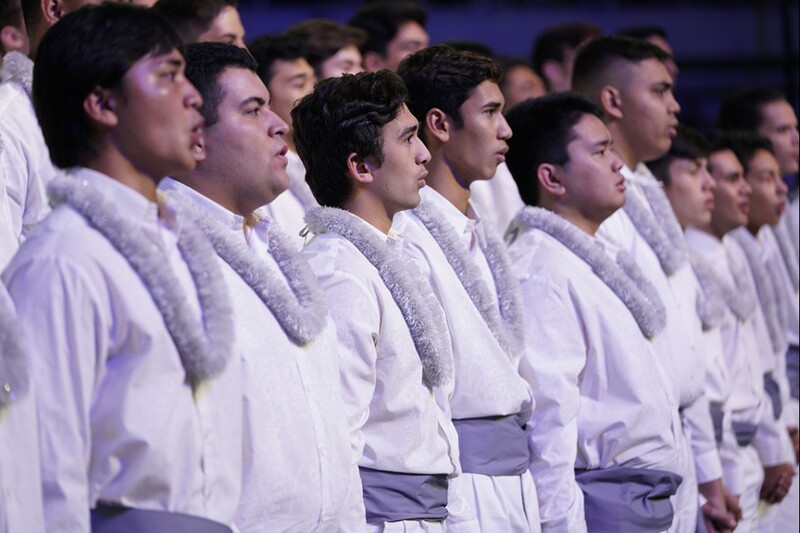 Song Contest, a KS tradition for more than nine decades, connects multiple aspects of culture, music and learning that remain with graduates throughout their lives.